From the title, you’d think I’ve been knitting for a long time. In a way, I have been. I was first taught by my Grandmother when I was about 8, along with the piano. I quit both of those very early on. Then, when I was a senior in high school, I learned from a woman at the Lutheran Youth Gathering in San Antonio. I made the scarf she taught me to make and didn’t pick up the needles again. I tried again in 2010, making half a cabled blanket, a bracelet, and a couple small odds and ends. 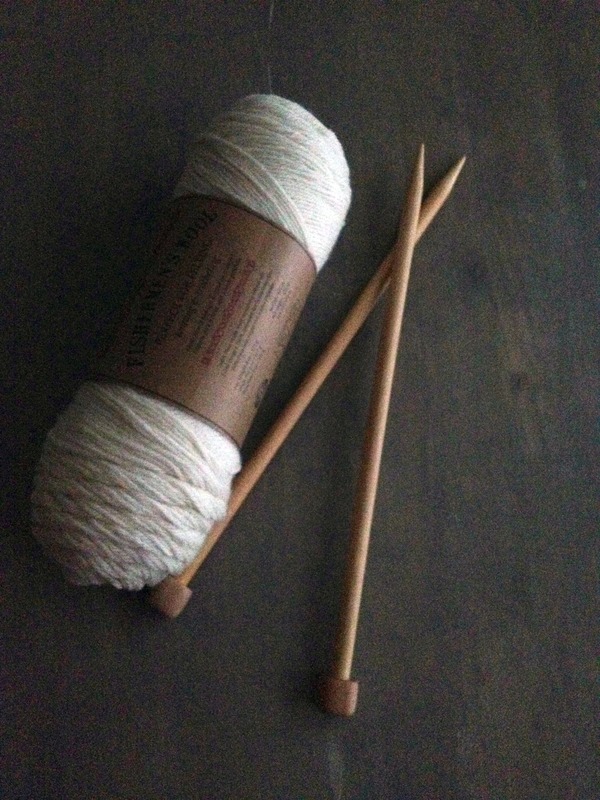 I guess it wasn’t until last Christmas, though, that I needed knitting rather than just thought it would be fun. I haven’t really put the needles down since. Knitting is my main stress relief. I have a fun, crazy, busy, amazing, wonderful job that I love. Let’s face it, though, it can completely stress me out at times. Last semester, I nearly let it completely overwhelm me. That is, until my husband needed a Christmas stocking. All of a sudden, I had something to get rid of all that tension I was causing myself (it really was more self-inflicted than anything else). I suppose that’s also why it’s been nearly nonstop. I have to keep getting rid of energy. Knitting is my creative outlet. I’m not a very good writer; I’ve published one (bad) short story in an anthology once and a couple poems, but that’s it, really. I can draw an egg with shading, but not much else. I’m not much into painting. I tried making jewellery and managed to make one nice piece, but the rest look terrible. When I tried knitting, though, I found my pieces could look like the picture. I can follow a colorwork pattern and end up with gorgeous (if a bit mistake-ridden yet) mittens that I love to wear. I actually get compliments on some of the pieces I create. It’s mind-blowing. I can also customise the patterns, colours, anything I want to make a piece my own and still end up with something lovely. I’ve learned to reevaluate time. That sounds a bit weird, I realise. Think about it, though. Before knitting, if I read a project was fast and would take 4-6 hours, I would’ve thought it was nuts. How on earth is 4-6 hours a fast project? I get it now. When I spend a week or month on a large project, like mom’s shawl, I need a break, something fast. I go for those 4-6 hour projects. They’re finished in an evening or two. If something says it’ll take 10-12 hours, that still doesn’t seem so bad. I’m learning to slow myself down a bit and reevaluate how I see time. What knitting has not taught me is patience. I do find it funny that people think knitters are patient. I’m not. I feel like once I’m done for the day at work, I rush to get back to my needles. I can’t wait to work on it. I also can’t wait to be 10 more rows in than I am. I can’t wait to be past this section and into the next. I can’t wait to bind off the project. I can’t wait for it to dry from blocking. I just can’t wait! I love this art. I’m as passionate about the process as I am with the final project. It’s frustrating, aggravating, and completely rewarding. I am the exact same way with crocheting. I loved your post!